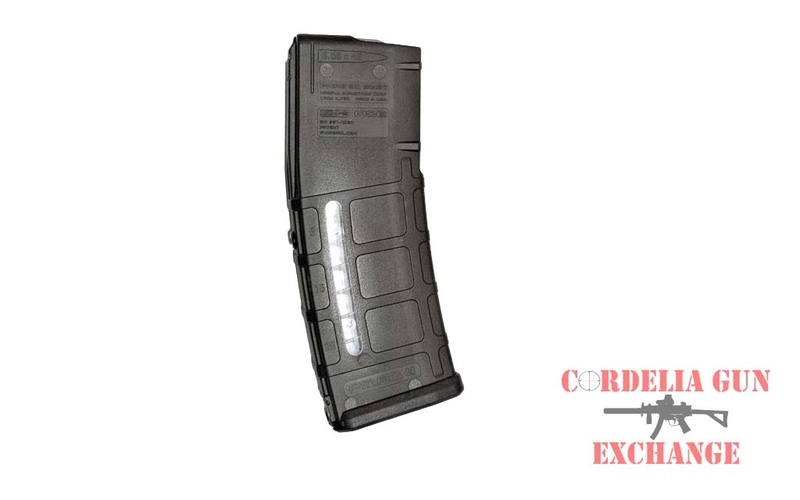 CA Legal Magpul 10-30 HK G36 556mm Magazine! 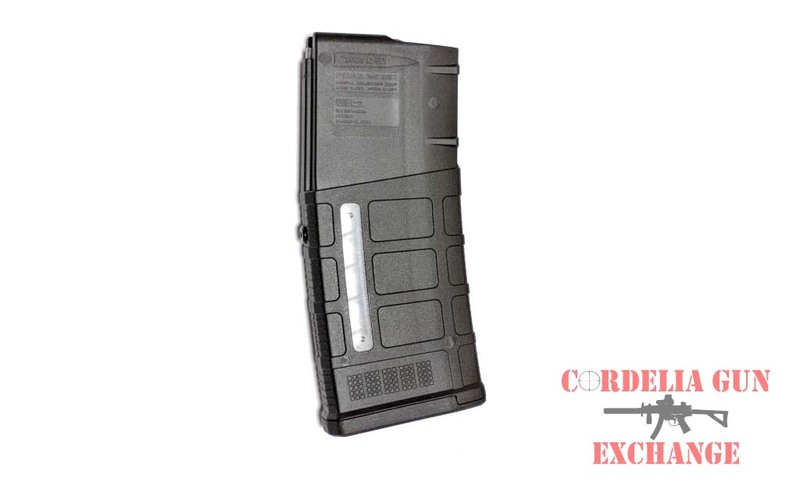 California Legal Magpul 10-30 HK G36 556mm Magazine! The California Compliant Magpul 10-30 HK G36 556mm Magazine is a durable, lightweight, high reliability 10-round polymer magazine designed specifically for the Heckler & Koch G36. 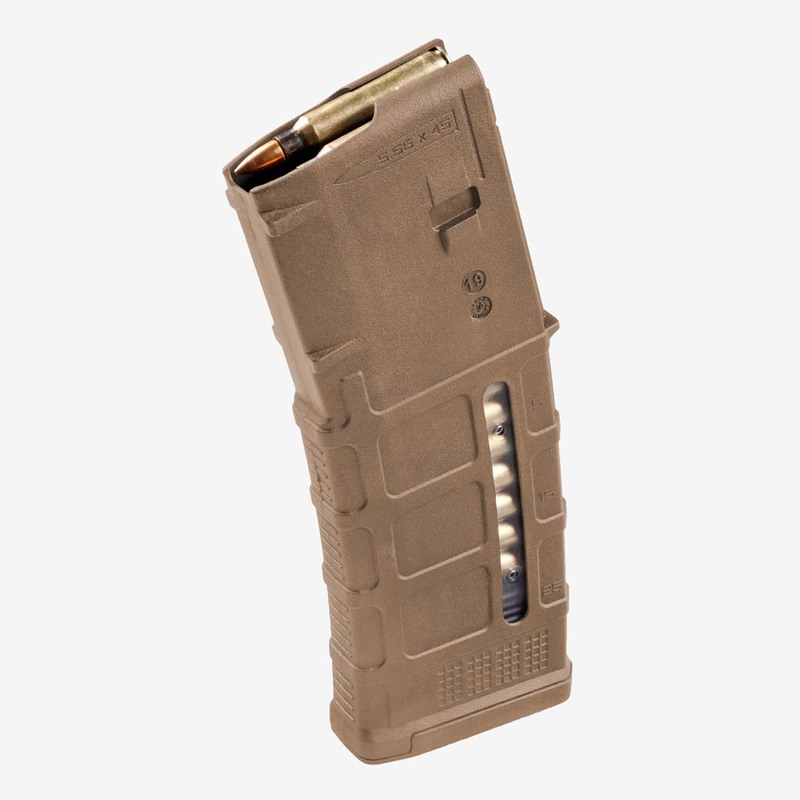 It features an advanced impact resistant polymer construction and an easy to disassemble design with a flared floorplate for positive magazine extraction from pouches. The PMAG 10/30G utilizes a resilient Milspec black oxide coated stainless steel spring for corrosion resistance and an anti-tilt, self-lubricating follower for increased reliability. 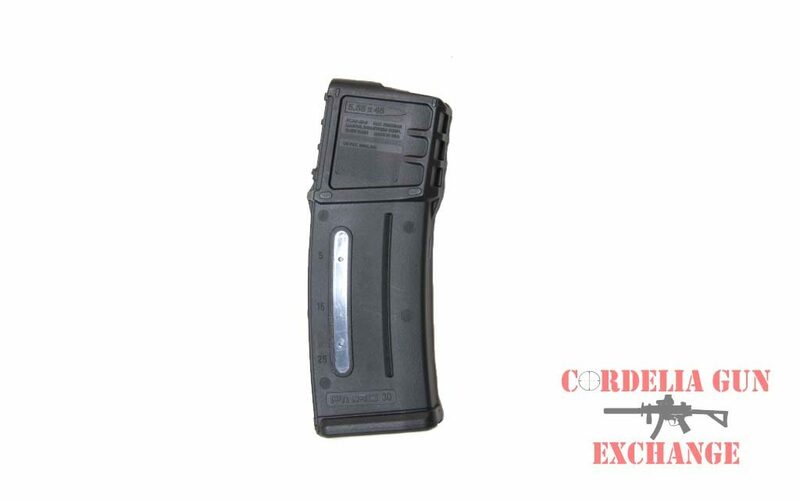 It is compatible with all PMAG floor plate accessories. 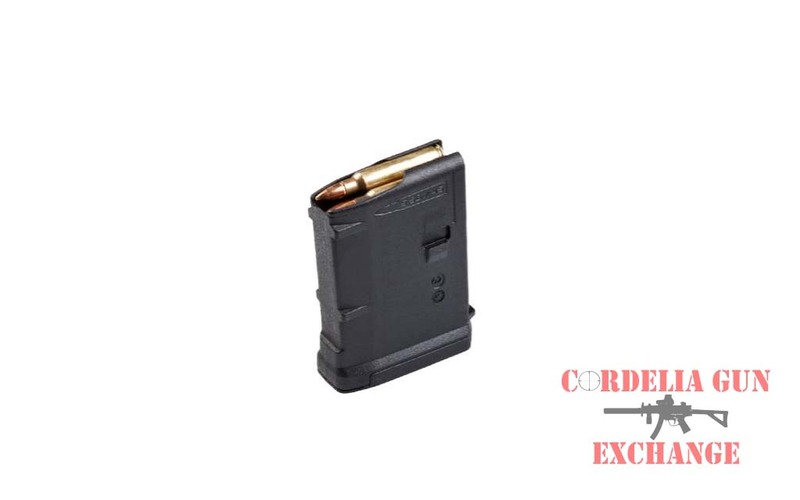 The Magpul 10-30 HK G36 556mm Magazine has a 30 round body and has been blocked to 10 rounds in order to comply with magazine limit restrictions in California, New York, Connecticut, DC, Maryland and Massachusetts. This magazine has been modified to be sold in states with magazine capacity restrictions. 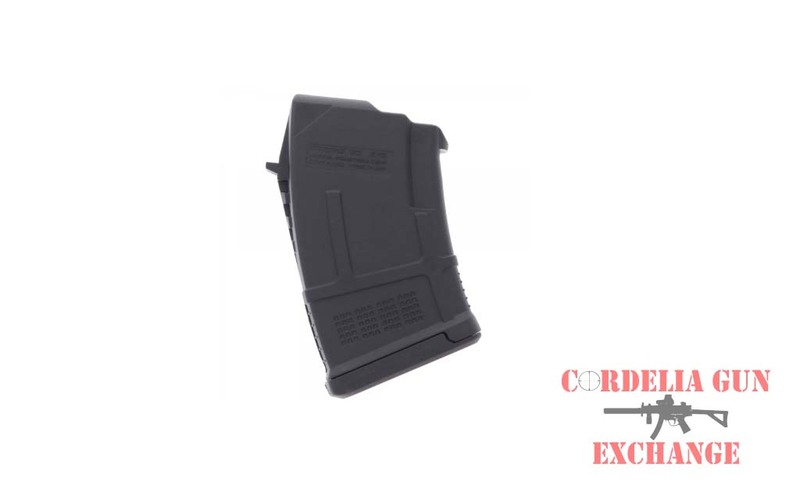 Cordelia Gun Exchange blocks the Magpul 10-30 HK G36 556mm Magazine using a rivet that is secured in place. This method meets the requirements of “permanent modification” to a 10 round magazine, while allowing for the magazine to be opened for maintenance.